I’m a bit cross with DC. I didn’t see his interview on Channel 4 yesterday, but it popped up on my Google alert (an excellent device that lets you know who’s saying what about you) when he defended Andy Coulson by saying he attracted nothing like the controversy of me or GB’s man, Damian McBride. Now I have to say if I had ever been accused of presiding over phone-hacking, the controversy would have raged non-stop. But put that to one side. The media continues to give the coalition an easy ride and there is not much I can do about that. But the comparison with Damian was not one I appreciate, DC. No need to go into why. Fairly obvious to anyone who worked with us, politicians, civil servants and journos alike. But I do want to say this – as TB said in his book, I never had a single complaint from a civil servant about the way I operated, despite the constant accusations (in the media and from Tories) of politicisation. 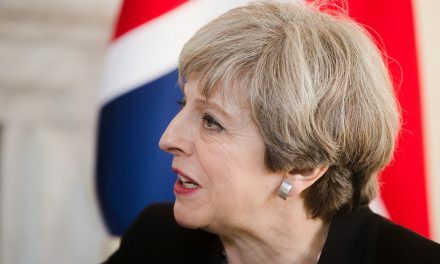 And I will also say this – if the PM I worked for had been elected on a promise to ‘restore Cabinet government’ after the so-called ‘sofa government’ of the Blair years, I would have made sure the Home Secretary knew in advance, and was involved in discussions, if a major policy change on child benefit was to be announced. It was blindingly obvious on Newsnight last night that home secretary Teresa May was unaware of the change until she heard it on the radio on the morning of George Osborne’s speech. We can safely assume that if she was in the dark, they all were apart from the DC/GO inner circle. The reason Mr Cameron was doing interviews at all was to deal with the furore caused by a policy that was not in the manifesto, had not been discussed among ministers and had clearly not been the subject of even basic political groundwork. And of course in dealing with one policy problem caused by making it up as you go along, he seems to have caused another, with his cone pitch on marriage and tax. Hope a few microphones are diverted from the conference to some Lib Dem ministers today. The Newsnight format of having a few delegates in the audience to follow the main interviews and then engage in debates is a good one. The looks on the delegates’ faces are getting more alarmed by the day. It is unfair to compare AC to Mr McBride. As the former political editor of the Sun put it in the Media Guardian, Alastair Campbell has always “been on the side of angels”. Several points in this blog require correction. Firstly, for phone hacking read dodgy dossier and the controversy over that raged none stop and even reverberates today. I have no doubt it will still be remembered long after, by comparison, trivial, phone hacking is forgotten. I would agree however, that McBride represents an altogether lower quality of spin merchant than yourself. A senior civil servant has already said that “proper Cabinet government” has replaced TB’s sofa and, indeed, it is necessitated by the Coalition agreement. I don’t think a majority of people think the Coalition are making it up as they go along. They are striving to deal with a disastrous financial position resultant from a structural defecit (no, it wasn’t all the Banks). I note you have absolutely nothing to say on actually policy here – particularly the principle that the Coalition is attempting to make the better off shoulder most of the burden – something I thought you would approve of. She looked uncomfortable surely, but Theresa May would if you asked her to tell you the names of her children. Is there nothing you can do about the media bias, Mr. AC? No way you can work the oracle with the EdM camp to change the culture? Because I fundamentally disagree with the Labour gov. strategy of not raising the issue of bias for fear of being seen as a bunch of whingers rather than a serious party of government. I admire your nous in constantly raising the issue during the 2010 GE campaign (and who, now, will ever forget your magical upsetting of that muppet on Sky News Adam Twatsisname? ), particularly because the issue has been driving British electoral politics for far too long (ie, almost all my adult life). In the present dire circs (the yoke of a Condem[ed] Coalition), the media outlets need to be told, on air, over and over again, how biased they are. They will HAVE to change if a concerted campaign of (almost) all interviewees to challenge Beeb/Sky/ITV journo-pundits at every opportunity transpires. Embarrassment will force them to. My fear is that Ed will be fearful to do such a thing, naturally. You need elephantine balls to do it but boy, would it not half change our political culture for the better. As for David ‘My Education’s Eton My Brain’ Cameron, in him lies Labour’s great hope in 2015: if the totally unnecessary speed and scale of cuts wasn’t suicidal enough, his ineptitude in piloting their executiion seems to be carving out a huge hole in their defence. And with the Wizard of Ozbourne playing goakeeper, I doubt that even Ed could fail to secure some sort of majority in 4 and a half year’s time. Only a massive u-turn of Thatcher-Lawson pre-1987 Boom-sized proportion can save them, even now. They seem to be drafting policy on the back of a fag packet, don’t they? What a dreadful shambles! As you say, AC, the looks on the faces of the Newsnight audience at the Con Conference said it all. Very uncomfortable interview for Theresa May – she must be spitting feathers that she was put in a position where the decisions of the Dave/George cabal meant that she was monstered by Paxman. I began to almost feel a bit sorry for her, although the way she was trying to bluff her way through (and coming out with the Big Lie about how it’s all because of Labour’s supposed mismanagement) didn’t do her any favours. People are waking up to the fact that this bunch of incompetents couldn’t run a bath. Also, just had a look at your tweets and saw I had a mention regarding the news blackout on the big demo in Birmingham. I slipped up by thinking it happened on Monday – it was Sunday. The first I heard of it was Monday evening when I saw John Harris’s excellent video short on the Guardian website which features the demo in the first minute. Excellent poster featuring Nick Clegg at about 0:55. The media continues to give the coalition an easy ride because the key post in the media are occupied Tory supporters. We have Nick Robinson et al. at BBC and Murdoch Media group. Even at the Guardian we have Julian Glover (maybe taking orders from his partner), Martin Kettle and Simon Jenkins. I think you will find the Tories complaining of the same media bias when New Labour was in government – I think most of the media most of the time do try to be even handed. BTW, why is that so many left wingers resort to pathetic little name calling? “Twatsisname”, “Condem”, David ‘My education…”. It is completely unnecessary and actually demeans the name caller. Watching the Tory Party conference car crash whilst in the midst of their media honeymoon really is fun. In the days of the Iron Lady the Tories had an iron grip on their media managment – changed days indeed. Mr Coulson clearly has other things on his mind at the moment. As for all the hoo hah surrounding their non manifesto committment to abolish child benefit for higher rate tax payers – you ain’t seen nothing yet folks. Georgie porgie will roll out loads more on 20 October and the VAT increase has still to kick in. Welcome to government Mr. Cameron. It makes me laugh the way you complain about the media. Tony Blair and labour always did and always will have the BBC and general media on their side but perhaps they are feeling a little embarrassed now at the mess labour left behind – and they are giving the other side a chance. You are not in government anymore. Get used to it and deal with it. I am inclined to agree with Chris lancashire that most of the media do try to be even handed in their coverage and questioning of politicians of all colours. David Cameron was lightly grilled by all 3 main news channels yesterday about the child benefit changes and even Tory supporting newspapers were quite scathing about the proposals. I didn’t think anyone would actually believe this tosh. The IFS showed that measures already announced in the budget will hit the poorest hardest, and there is far worse to come. Of course there will be a few token policies to keep up the pretence that ‘we’re all in this together’, but the Tories haven’t changed. Look how quickly Cameron wanted to offer something back to higher rate tax payers after the Child Benefit row. That it won’t be introduced until 2013 speaks volumes too. If the situation is as dire as they say why not introduce it from April 2011 – then they’d save another 2 billion. They’ve left lots of time to row back, make adjustments to how it will be implemented and lessen the impact. Unlike the regressive VAT rise which will hit the poorest hardest and be implemented this coming January. I keep hearing confusing comments coming from the Tories. When they defend their back of a fag packet policy on child benefit, they all seem to be talking about those most able to pay bering their share. It almost sounds like socialist redistribution of wealth. I suspect this is a smokescreen to hide their normal agenda from the Lib Dems and the public. Have to agree with BWW. This week, surprisingly, has provided many laughs. Was it the Children’s minister who objected to the Child Benefit change one day then said how much he agreed with it the next? Teresa May yesterday and Sayeeda Warsi today, trying desperately not to admit the policy hadn’t been discussed in cabinet. Paxman asking a sizeable number of Tory activists if anyone thought it had been handled well – only one (very reuctantly) put his hand up. I’ve even found it amusing to hear how stay at home wives should be supported in their ‘lifestyle choice’. Single mums on sink estates are slated as the scum of the earth if they use this argument. This fiasco clearly shows policy being made on the hoof. There have been other examples of rushed, ill-considered decisions which I am sure will come back to bite them. Abolition of ASBOs, NHS targets and the wholesale upheaval in the Health Service for example. Every time I hear the accusation that Labour won’t say where they will make cuts, it sounds to me like a plea for help as I don’t think they have got a clue. A failed attempted to persuade all the way through an amateur populism. Every single move he does is calculated to cause an impression that he is fair-minded. In reality, by cutting CB for those above 44k he is merely trying to corner those on benefits and exclude the better offs from the stigma he is creating in our society for those relying on social security to get along. Ironically, when the people need most the state support is when the government walks away. It’s unbelievable how the media is being so satanic and biased these days. Sometimes I feel insulted by their grotesque behaviour and manipulation of stories according to their interests.